The 14th is a fine par 4 that will test all of your golf skills. A slight miss left will not kill you off the tee, but anything wide to the right is bound for jail in the form of a fairway bunker, large trees, and a water hazard. Play just left of the bunker to safely find the fairway. 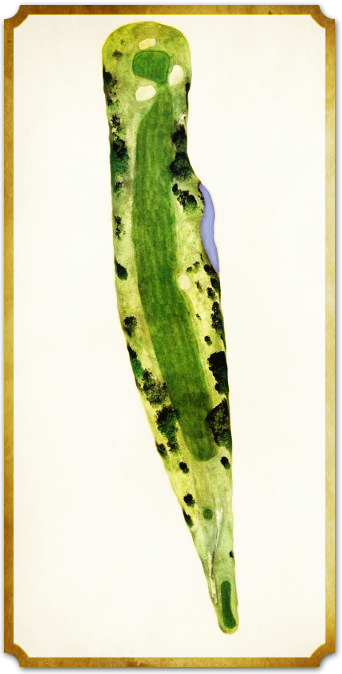 Your approach must fly onto the green, or negotiate a narrow opening between the steep faced front bunkers. The green slopes slightly from left to right and back to front. Watch out for a sucker pin between the bunkers on the front of the green.